Imagining my childhood I can clearly remember being curious about the ordinary and looking at everything with wonder. Walking through the entrance into Coachella there is a palpable shift in energy, where each individual is filled with this feeling. Coachella, a music and arts festival based in Southern California, is a wonderland for the child at heart. There’s a youthful excitement about all aspects of the festival. The fashion, food, and artwork are all so awe-inspiring, let alone the music. 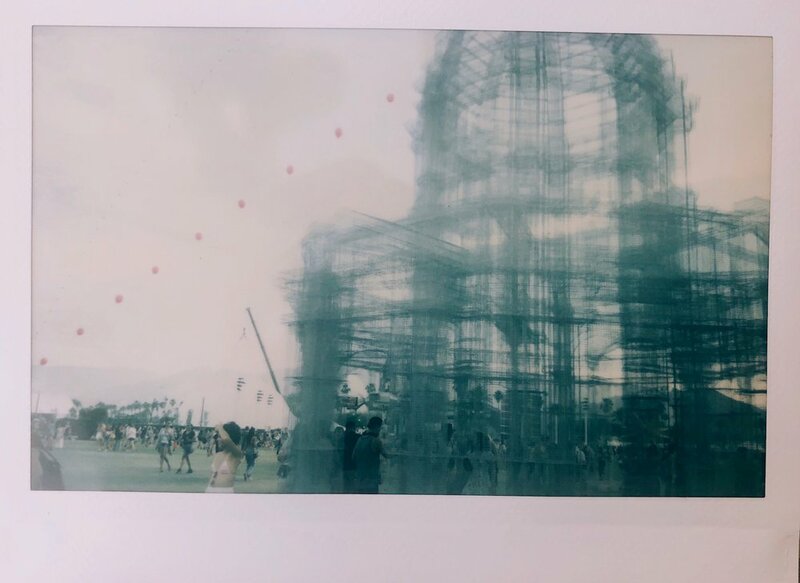 Coachella felt like a playground, a place to be in the moment (besides making sure to post insta worthy photos on social media) and a place to have fun. The fashion is unlike normal streetwear, it’s more edgy and adventurous. Every festival-goer expressed themselves through their carefully curated look. From swimsuits to rompers and everything in between, almost every style was on display. The food is a whole new adventure, and also played on the idea of nostalgia. Restaurants such as Mom’s Spaghetti, which offered a classic spaghetti and meatballs, brought each individual back to their childhood. Or, Seabirds vegan grilled cheese with creamy pesto offered a new twist on a classic favourite. And of course the main event, the music, was just as attention-grabbing. Odesza’s performance featured futuristic drones, which moved into different formations throughout their songs. Petit Biscuit performed with a lot of energy, with screens showing space graphics of the universe. The artwork was so playful and captivating. The Do Lab stage was a beautifully created tent-like area which featured a flower-like water gun, reminding me of gym class when students would sit underneath a large coloured parachute. Even the Balloon Chain, by Robert Bose, which featured a line of balloons leading to the sky was a marvel. The artpiece Lodestar by Randy Polumbo, was something out of a storybook. Coachella is about living in the moment, a huge party set in a desert playground. I’ll definitely be back next year. 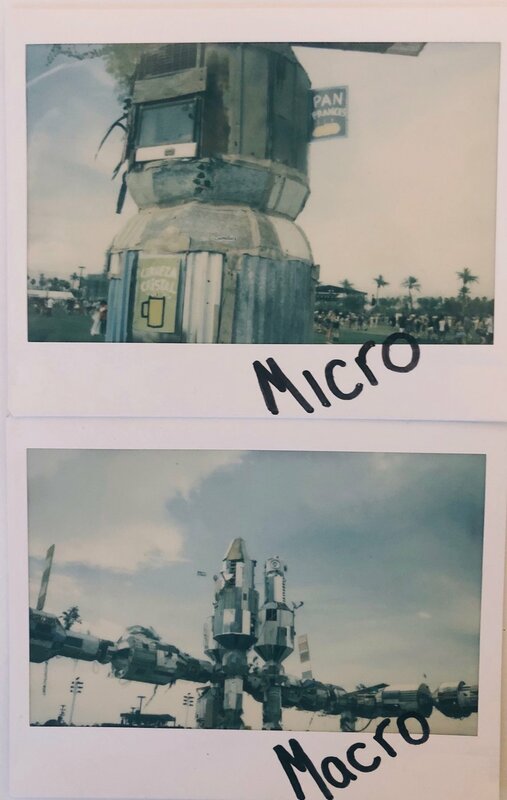 Polaroid images taken by Alexa Wenzel.